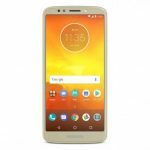 Home » Motorola » Motorola Moto G6 Plus Advantages, Disadvantages, Review – Underpowered!! Motorola Moto G6 Plus Advantages, Disadvantages, Review – Underpowered!! 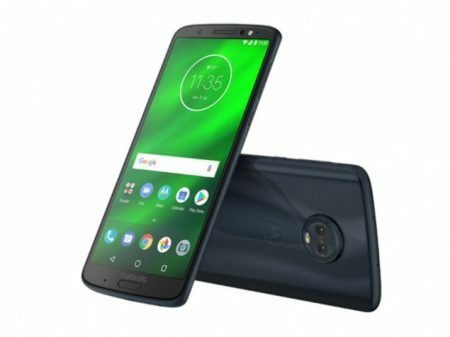 Motorola Moto G6 Plus low-end smartphone launched into the market. So, check out Motorola Moto G6 Plus advantages (Pros), disadvantages (Cons), problems and drawbacks/defects before purchasing. Motorola Moto G6 Plus price in India is around Rs.17,999 and $299 in the USA. Currently, it is available on online shopping sites like Flipkart, Amazon to buy. 5.9 inch IPS LCD capacitive touchscreen, 16M Colors. Dual 12 MP + 5 MP rear camera, 8 MP secondary camera. Octa-Core processor and Snapdragon 630 chipset. Motorola Moto G6 Plus comes with latest Android OS, v8.0(Oreo). Presents 5.9-inch IPS LCD capacitive touchscreen and Multitouch in it. Its display is protected by Corning Gorilla Glass 3. It has a good screen-to-body ratio for the better viewing experience. It provides 4/6 GB RAM for multitasking. It encompasses with Octa-core processor. Motorola Moto G6 Plus has equipped with Qualcomm Snapdragon 630 Chipset. Brings an internal memory of 64/128 GB and expandable memory is supported up to 256 GB (uses dedicated slot). It offers Dual 12 MP (f/1.7) + 5 MP (f/2.2) rear camera with additional features like dual pixel phase detection autofocus, dual-LED dual-tone flash, Geo-tagging, touch focus, face detection, panorama, auto-HDR. It offers 8 MP front-facing camera with additional features like (f/2.2), LED flash, 1080p. It has the battery capacity of 3200 mAh which is good for heavy usage. Supports sensors like Fingerprint (front-mounted), accelerometer, gyro, proximity, compass. It offers great and loudspeakers with Dolby atoms. It is available in Gold, Deep Indigo, Nimbus colors to choose. Motorola Moto G6 Plus supports additional features like Active noise cancellation with dedicated mic, Fast battery charging 15W, Splash resistant. Snapdragon 630 is old and underpowered, they should have used latest Snapdragon 636 for better performance. Additional Features & Apps Active noise cancellation with dedicated mic, Fast battery charging 15W, Splash resistant, Dolby atoms. Motorola Moto G6 Plus smartphone comes with good features & performance for its price. It excels in all the departments but they should have provided Snapdragon 636 for better performance, we suggest to check other mobiles also if you are looking for a good mobile around 20k. 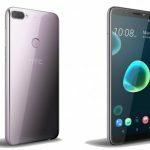 HTC Desire 12 Plus Advantages, Disadvantages, Review - Not Worth !! Motorola Moto E5 Advantages, Disadvantages, Review - Not Worth!! Motorola Moto Z3 Advantages, Disadvantages, Review – Old Processor !!! Motorola Moto Z3 Play Advantages, Disadvantages, Review – Underpowered !! Motorola Moto E5 Play Advantages, Disadvantages, Review – Just Okay!! Motorola Moto E5 Plus Advantages, Disadvantages, Review – Costly!! Motorola Moto E5 Advantages, Disadvantages, Review – Not Worth! !